The MVironment Club at Martha’s Vineyard Regional High School (MVRHS) was recently awarded multiple honors for their environmental project focused on harvesting and exploring uses for an invasive aquatic grass species called Phragmites. MVRHS was named Massachusetts Senior School of the Year, and the MVironment Phragmites project was nationally chosen as the top Outstanding Energy Engineering and Design Project by the National Energy Education Development (NEED) Project’s Youth Leadership program in Washington, D.C. The project also received a Secretary’s Award for Excellence in Energy and Environmental Education presented by the Commonwealth of Massachusetts Executive Office of Energy and Environmental Affairs and EEA Secretary, Matthew Beaton. 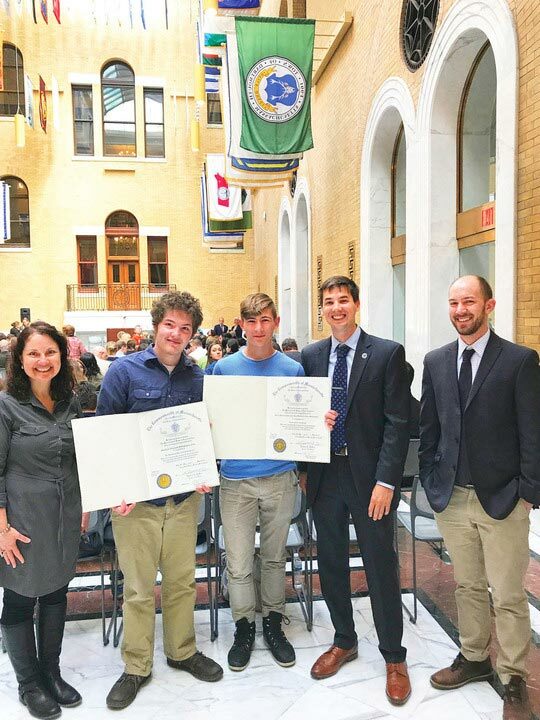 On Monday, science teachers and club administrators Louis Hall and Natalie Munn accompanied Brahmin and Curtis Fisher to the Massachusetts State House in Boston to receive this award on behalf of the MVironment Club. 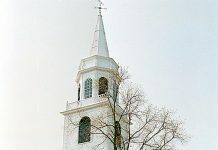 The MVironment Club focuses on taking care of the Vineyard environment, by learning about local issues, and engaging the community in service and educational projects. This year’s group worked collectively to focus on the Phragmites project. The club collaborated with Martha’s Vineyard Shellfish Group, World Stove, and Thimble Farm throughout the course of the project.